The preparation and provision of the information on the Christchurch City Libraries’ websites has been made in good faith from a number of sources that are believed to be reliable. All due care has been taken to ensure that the information is accurate and up to date. The Christchurch City Council shall not be liable for any errors and omissions, nor for any direct or indirect, incidental, special or consequential loss or damage arising out of or in connection with the use of the Christchurch City Libraries’ websites or the information contained on them. The Christchurch City Council does not guarantee that there will always be uninterrupted or error-free access to the Christchurch City Libraries’ websites, or that any files available for downloading will be error-free or free from viruses, faults or defects. Links and references to other websites are provided as a convenience only. The Christchurch City Council has not reviewed and does not endorse or assume responsibility for material posted or services or products offered on any other website. Unless otherwise indicated, the Christchurch City Council holds the copyright on all material on the Christchurch City Libraries’ websites. 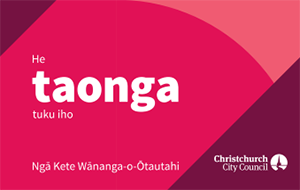 This material can be used for personal and non-commercial purposes free of charge without the permission of the Christchurch City Council, provided that the source and copyright status of the material is acknowledged and it is not used in a misleading way. If you wish to provide a link to one of the Christchurch City Libraries’ websites from your website, you must do so in such a way that it is clear to users that the pages are part of a Christchurch City Libraries’ website owned by the Christchurch City Council. You must not represent any page on any Christchurch City Libraries’ website in a subframe. One exception is trademarks and logos on Christchurch City Libraries’ websites. These are the registered or unregistered trademarks of the Christchurch City Council or others. You must not copy or use our trademarks (including the Council logo), except if you first obtain our written permission. Some material on the Christchurch City Libraries’ websites is sourced from third parties. Permission cannot be granted by the Christchurch City Council to reproduce any copyright material available on the Christchurch City Libraries’ websites that is owned by a third party. Christchurch City Libraries provide online and interactive services through other websites which are owned and hosted by third parties. We provide these online and interactive services for you to exchange ideas and information. Any material you transmit or post to Christchurch City Libraries’ websites, or through online and interactive services provided by Christchurch City Libraries through third party websites, including any RSS or Atom feeds and email notifications produced by or via or displayed on them, is known as your “Submissions”. Other than personal information not visible on Christchurch City Libraries’ websites (which is covered under the Privacy Statement) or on third party websites though which online and interactive services are provided (which are covered under each website’s privacy statement), your Submissions will be considered non-confidential. You grant the Christchurch City Council a non-exclusive, royalty-free and irrevocable licence to publish your Submissions in any media and in any format, including on any Christchurch City Libraries’ website or any other website, in hard copy publications, in email notifications and alerts and in RSS, Atom or other feeds. If your Submissions include material in which copyright or other intellectual property is owned by a third party, you warrant that you have the right to use that material. You are prohibited from posting or transmitting to or from Christchurch City Libraries’ websites, or through online and interactive services provided by Christchurch City Libraries through third party websites, any material that is illegal, obscene, defamatory, threatening, infringing of intellectual property rights, invasive of privacy or otherwise injurious or objectionable. We will co-operate fully with any law enforcement authorities or court order requesting or directing us to disclose the identity or locate anyone posting any material in breach of this clause. Submissions may be moderated by Christchurch City Libraries before being published. We may decline to publish Submissions or may modify Submissions if they are considered to be either contrary to the clause above or irrelevant to the subject-matter of the Christchurch City Libraries’ websites or of the online or interactive services provided by Christchurch City Libraries though third party websites. Christchurch City Libraries reserve the right to terminate a user’s access or ability to post to the comments or submissions areas of Christchurch City Libraries’ websites, or through the online or interactive services provided by Christchurch City Libraries through third party websites, if we believe the commenting facility is being abused. Views expressed on Christchurch City Libraries’ websites, or through the online or interactive services provided by Christchurch City Libraries through third party websites, by contributors are those of the contributors and do not necessarily reflect the views of the Christchurch City Council or official policy.